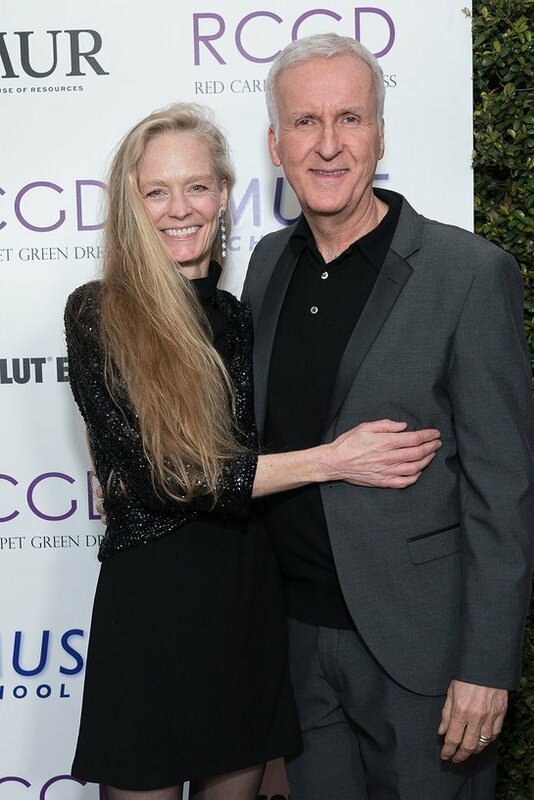 Celebrating 10 years of sustainable fashion, author, actor and environmental advocate Suzy Amis Cameron hosted her annual Red Carpet Green Dress (RCGD) Pre-Oscars Celebration in partnership with Absolut Elyx, AMUR and AKA West Hollywood last week at the Albright Fashion Library in Beverly Hills. With over 160 guests, some high profile faces included this year’s celebrity partners Laura Harrier (BlacKkKlansman), Danielle Macdonald (SKIN & Bird Box), last year’s representative LaKeith Stanfield, Amis Cameron’s husband James Cameron, Michelle Rodriguez (Fast & Furious franchise), and Fiona Xie (Crazy Rich Asians) among others. Guests entered the celebration greeted by exclusive wardrobe pieces from the AMUR x RCGD debut collection. The collection features six looks, revealed last night for the first time, and were displayed in a curated presentation created by Oh Mannequin! The AMUR x RCGD is now available for purchase here and in select Bloomingdale stores around the country throughout March. Guests enjoyed plant-based appetizers provided by Veganics, and sipped on Absolut Elyx vodka specialty cocktails as a warm welcome was given by Samata Pattinson, Vice President Global Campaign Manager of RCGD. Pattinson shared her journey of how she started out as a former winner of the campaign back in 2011, when the RCGD was a contest for budding designers, and how she has come full circle with Amis Cameron in the past eight years. Pattinson then introduced RCGD founder, Amis Cameron, who spoke about the journey of RCGD and how proud she is to see how the fashion industry and top designers continue to embrace ethical guidelines and make sustainable fashion desirable. Additionally, Jeff King, Head of MUSE School CA, and Rebecca Amis, co-founder of MUSE, spoke about the educational impact made on the future generations, while students shared their experiences about the eco-friendly school and how they are embracing the sustainable lifestyle in their daily lives. The winner of this auction prize will receive a free fitting and styling with Irene for any event of their choice. The winner will be able to choose from over 35,000 items from runway couture to vintage wear. Inspired by the iconic and stunning ‘Lava Dress’, which was worked by the Royal School of Needlework (RSN) and worn by Naomie Harris to the 2013 Oscars, the RSN Embroidery Studio has designed and hand embroidered this beautiful brooch and cufflink set. The bid is currently open. The fashion affair drew to a close around midnight. For more information on Red Carpet Green Dress, please visit www.redcarpetgreendress.com.